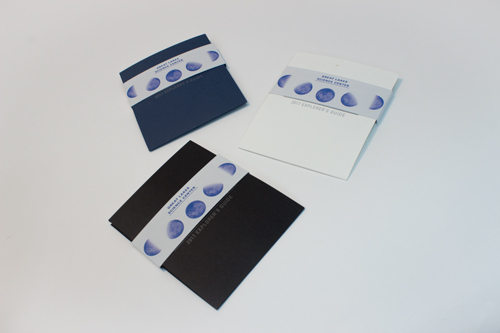 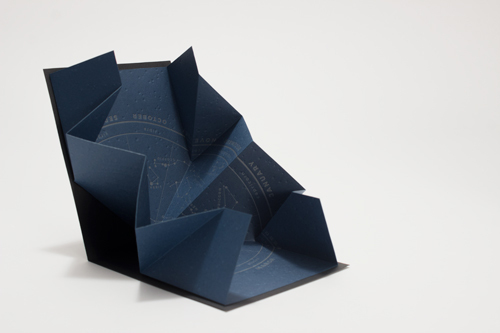 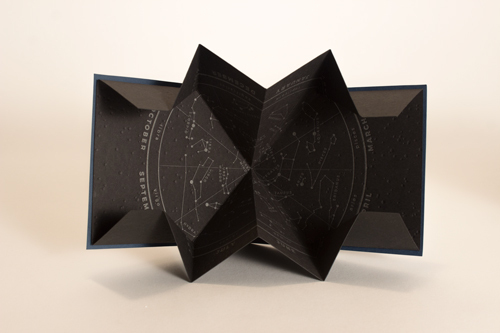 Make sense of the cosmos with the stars letter pressed in the white, black, or blue Explorer’s Guide 2017. 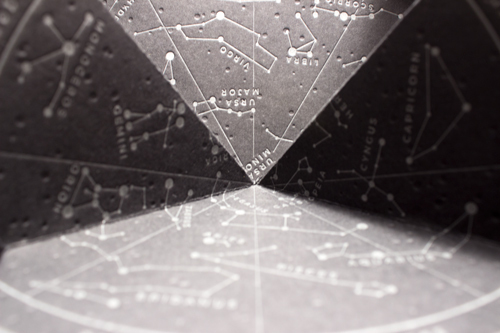 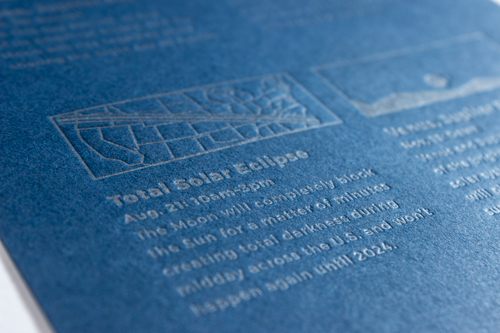 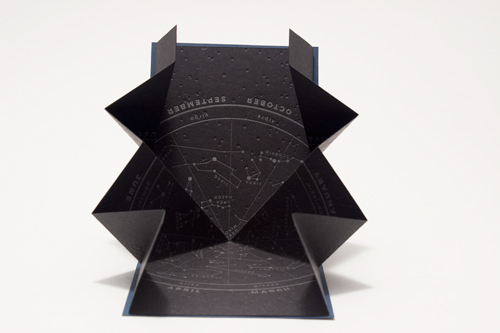 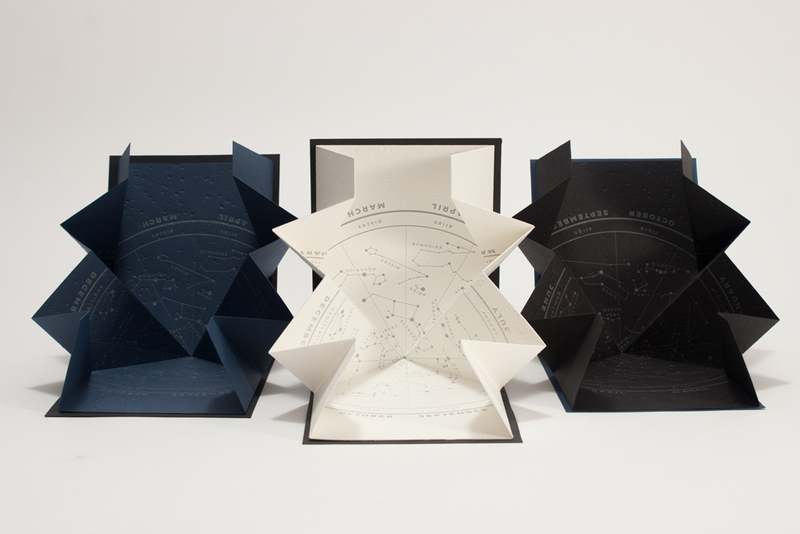 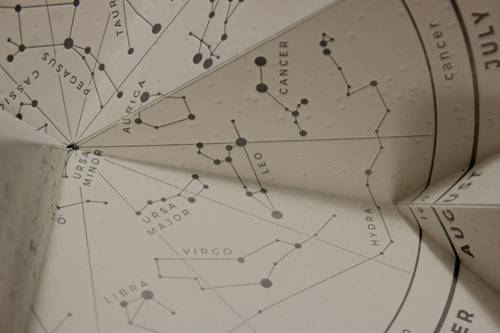 Four major astrological events are detailed on the back. 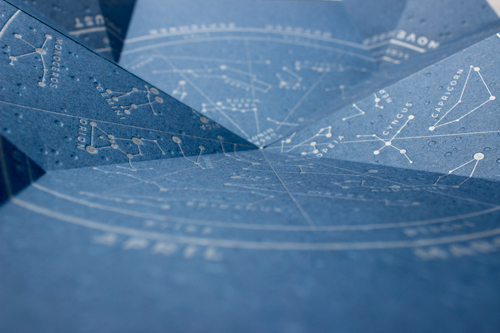 The inside blossoms into a Turkish fold star map with constellations aligning to the month that they appear in the night sky.